After the winter showers, when you can scent the wetland, Celia goes through the forest with a wicker basket in her arm and the intention of bringing a mushroom snack to her family! Célia Celestino lives in Lagos, but as soon as she has time off from her work and home duties, she heads to where she grew up – Rogil. The grounds, the secret places and foliage are well known, and she has already marked the areas where the mushrooms grow. They are used to prepare delicious appetisers or side dishes: “mushrooms are sliced and fried with onions, or they are seasoned with aromatic herbs to accompany pork in the oven “. In our country mushrooms can be picked all year, but it is between November and February that most of the edible species grow: chanterelles, boletus, pine mushrooms, among others. According to the book Código e Conduta do Apanhador de Cogumelos d’ A Pantorra, there are several tips and pieces of advice to take into account for those who have no experience in hunting wild mushrooms. 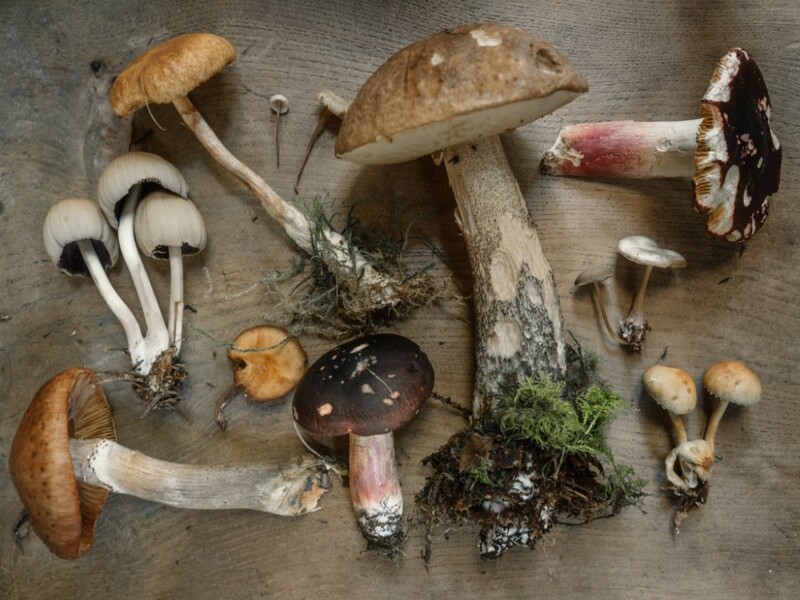 It can be a blast to go to the forest to gather mushrooms but beware when it comes to harvesting, preparing, and cooking this ingredient as there are several non-edibles, toxic and even deadly species! Safe mushroom picking comes from experience and not just from free initiative or with the help of books. To the curious, interested and mushrooms lovers, we warn that it is best not to fall into myths! There are those who say that there are tricks to understanding whether the mushroom is edible or not: “if the mushroom has a ring around the trunk or if silver or stainless-steel spoon does not rust when placed on the fire by the mushrooms.” It is best to “take no chances if you don’t know” and let the mushroom picking to specialists. At Mar d’Estórias it is only necessary to prepare them with the traditional seasonings of Portuguese cuisine and wait for you to savour these treasures of the earth without worries!